Over the last few weeks William has been trying to learn to roll over from front to back and from back to front. 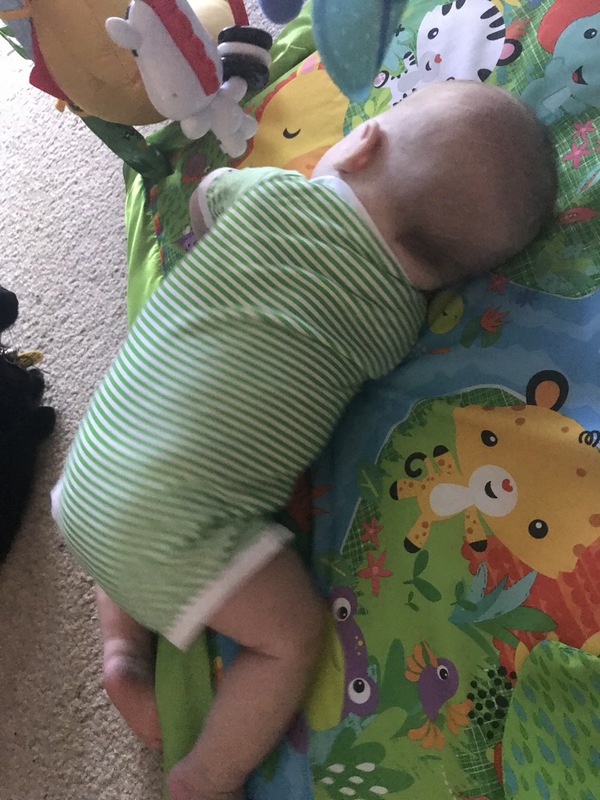 Sometimes he would get frustrated when he would be on his front for Tummy Time, even when it was he who made that roll, as he was unable to roll again onto his back. Other times, he enjoyed being on his front, even though he was unable due to his age and strength level to crawl. 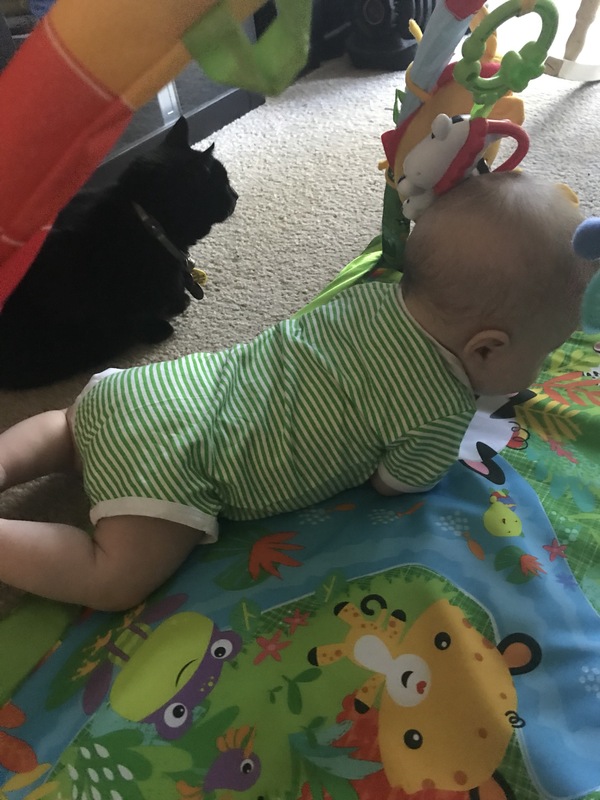 However, the last week has been amazing for him as he finally began to be able to roll from front to back and back to front, tentatively and clumsily at first, but then in a much more coordinated manner. 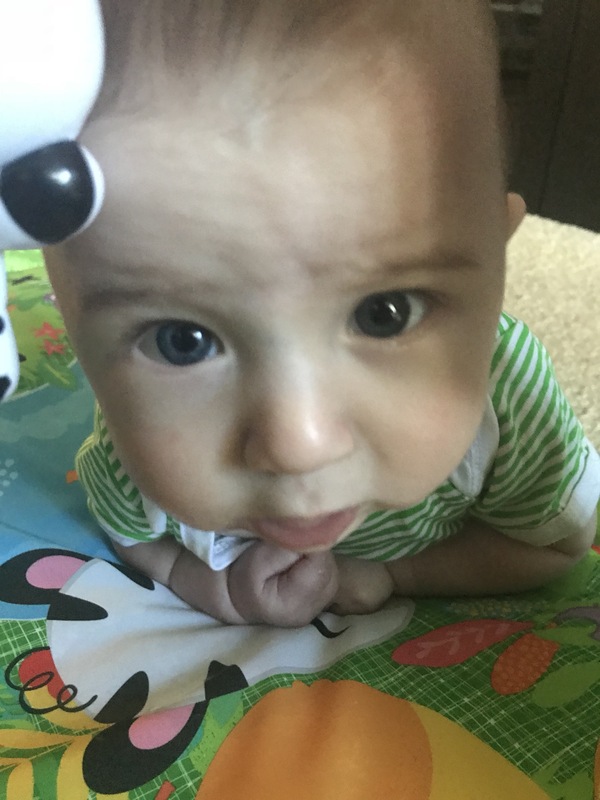 During this week he’s become very good at this, confidently rolling more often than not and often choosing to be on his front in longer and longer time periods. 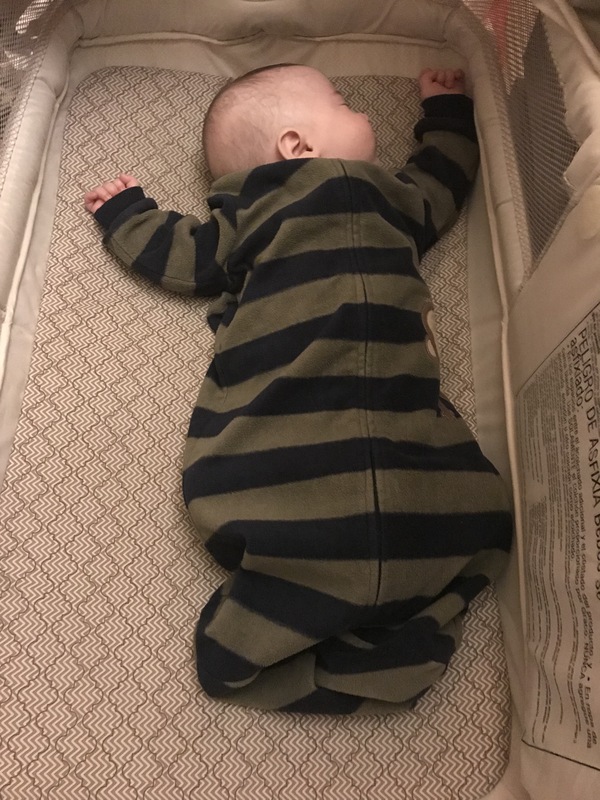 Now that he can roll and stay on his stomach, just putting him to bed on his back is no longer a guarantee that he will stay in that position to sleep. In fact, he’s very likely to have many positions throughout the night. 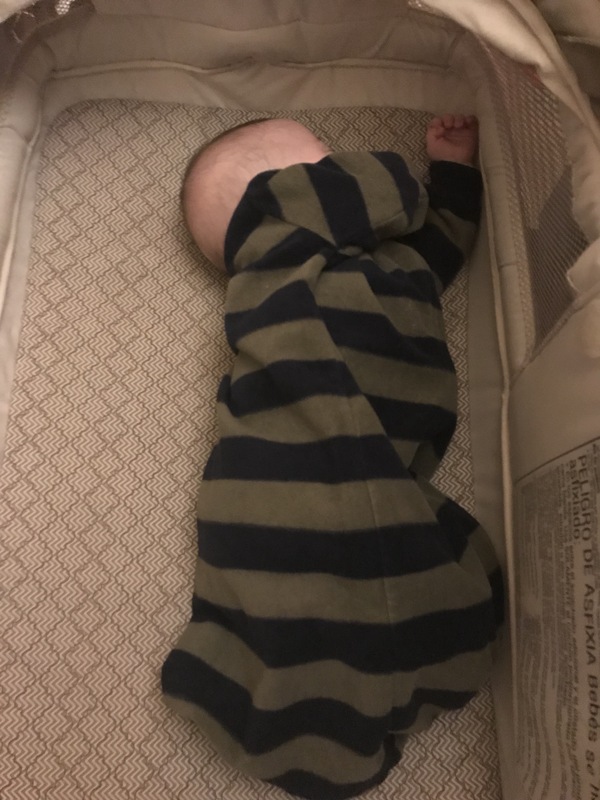 That means that swaddling, a technique used to help him stay warm and somewhat in place since his birth is one we can no longer use on him at night. 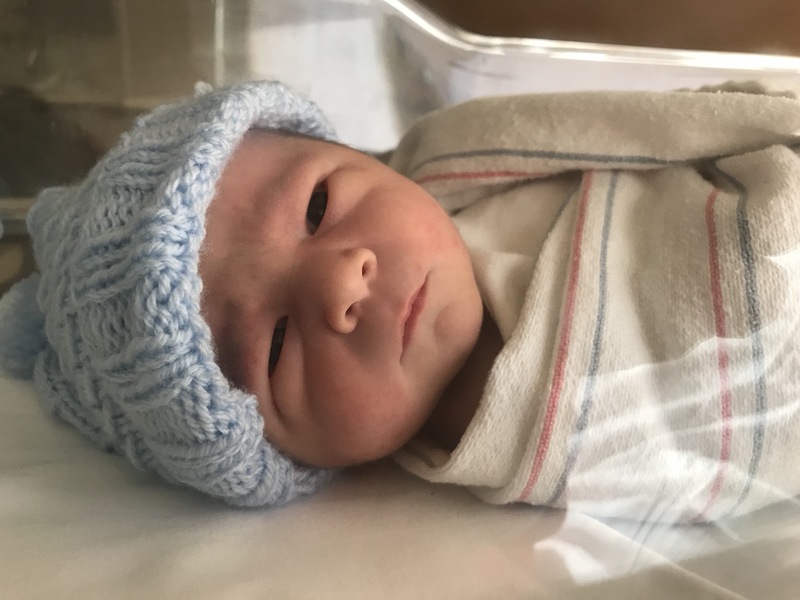 These photos of him swaddled in the hospital bring back so many happy memories for me. 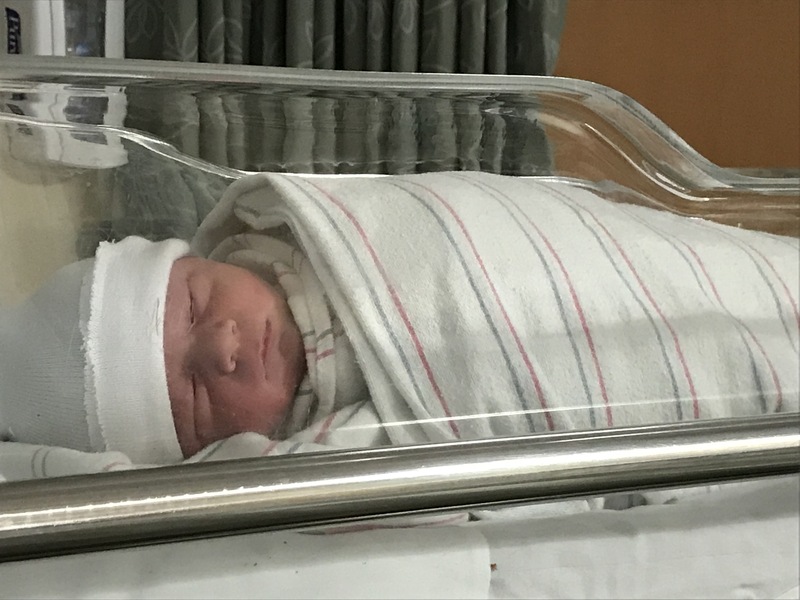 Even though Matt was always able to swaddle William in a much more tight and efficient manner than I ever could, I’ll miss us both being able to bundle him up in such a tight manner. So since he is rolling about we needed a way to keep him warm that would be OK safety wise with him rolling about. It was time to put him in his Sleep Sack which I’ve heard described as a wearable blanket. 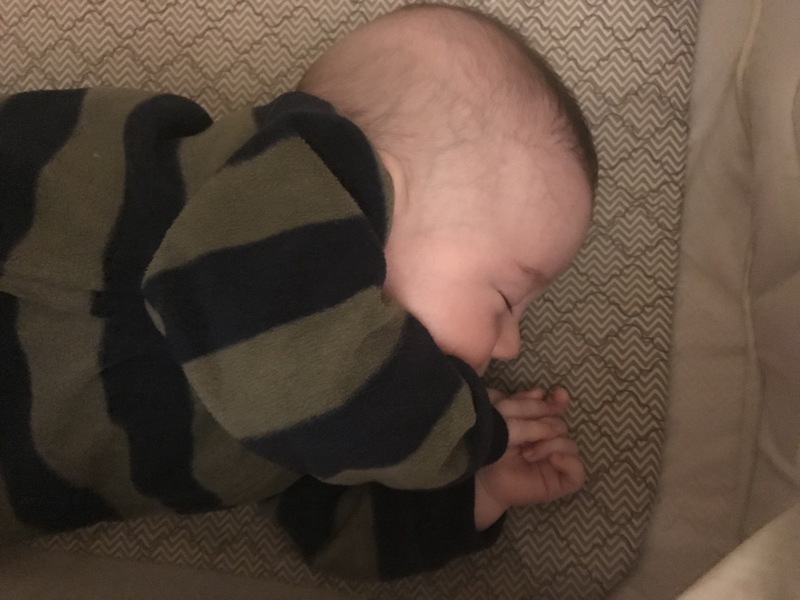 When we put him in it for the first time, we put him on the fleece blanket on the couch to watch his reaction and to spend time with him before we would put him to bed. To our amazement, just being on the fleece for some time allowed him to fall peacefully asleep. We then put him in his bassinet where he stayed asleep till he woke for his first middle of the night breast feeding. 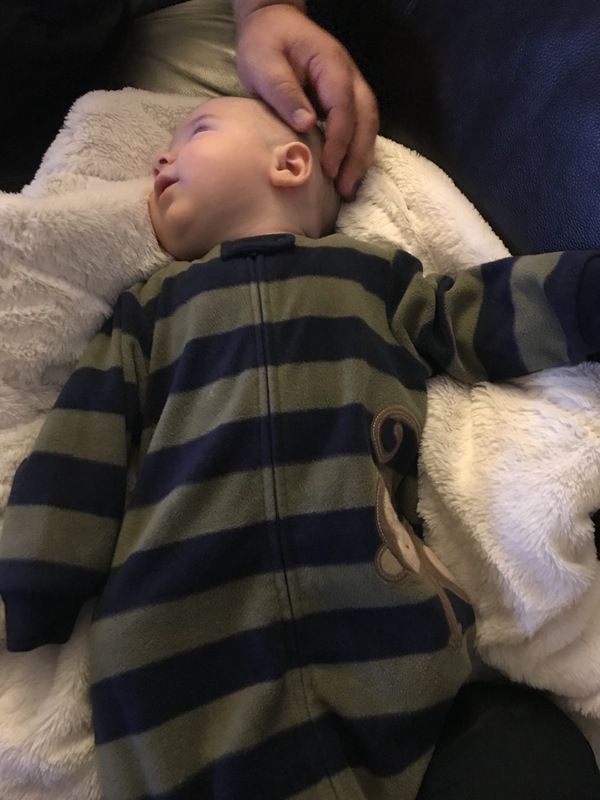 We know he is warm enough in just his Sleep Sack, with a onesie and diaper underneath. I love watching him sleep and taking lots of photos of him sleeping. We had thought perhaps it would now be easier to get him to sleep and to have him sleep even longer then he had been. However, so far the starting on fleece trick has worked only once. 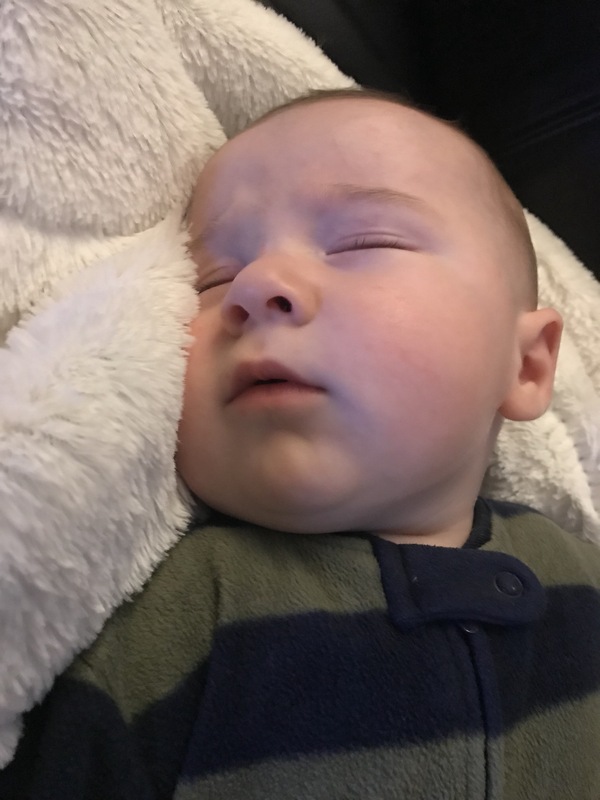 We still have work to do to get him to go to sleep easily, even when we know he is very tired due to his fussy cries and rubbing at his eyes.